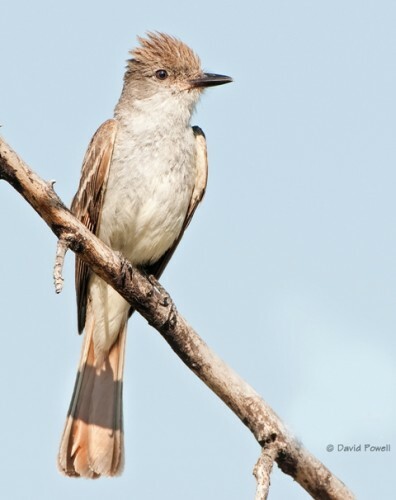 Along the River: an Ash-throated Flycatcher… /Hawks Aloft Inc. Along the river, an Ash-throated Flycatcher (Myiarchus cinerascens) heralds his return to spring breeding grounds. Seen in Corrales Bosque on 4/18/2012.